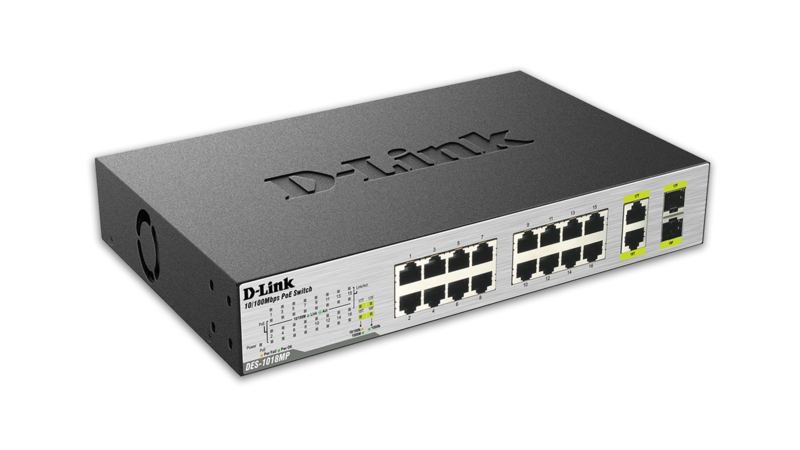 The D-Link DES-1018MP 18-Port Fast Ethernet PoE Switches with 2 Gigabit Uplink Ports enables users to easily connect and supply power to PoE-capable devices such as wireless access points (APs), network cameras and IP phones. 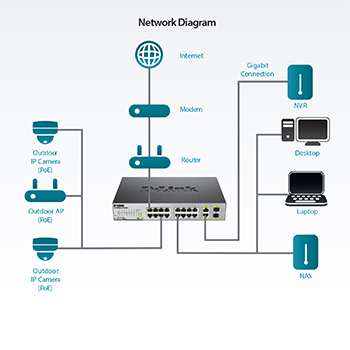 The DES-1018MP can also connect other Ethernet devices like computers, printers and network attached storage (NAS) to fit into any type of network application. 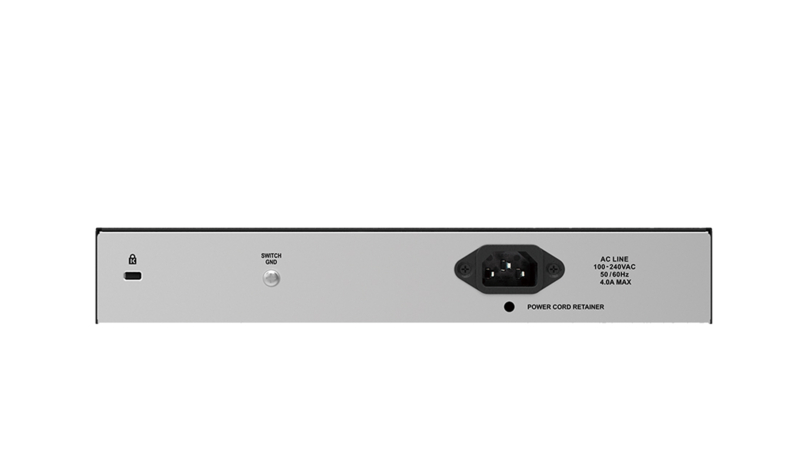 The DES-1018MP features 16 ports that support the IEEE 802.3af PoE protocol. Each of the PoE ports can supply up to 15.4 watts, with a total PoE budget of 246.4 watts (DES-1018MP), allowing users to attach an IEEE 802.3af-compliant device to the DES-1018MP without requiring additional power. With max PoE power support, the DES-1018MP ensures that adequate power is supplied to the most power demanding PoE devices, even when all 16 PoE ports are used. PoE is especially suitable for devices that are far from power outlets or when users want to minimise the clutter of extra cables as power is supplied via the Ethernet cables themselves. The addition of 2 Gigabit combo uplink ports means businesses can increase their network bandwidth via wired speed while offering redundancy so voice and surveillance data are transferred reliably. The combo design can increase bandwidth by offering two Gigabit copper or fibre connections, giving administrators more options for expansion. The DES-1018MP is a plug and play device that requires no configuration, so setup is simple and hassle-free. Simply connect the switch to a network to connect multiple computers, share files and make VoIP calls. Support for Auto MDI/MDI-X on all ports eliminates the need for crossover cables when connecting to another switch or hub. Auto-Negotiation on each port senses the link speed of a network device (either 10 or 100) and intelligently adjusts for compatibility and optimal performance. 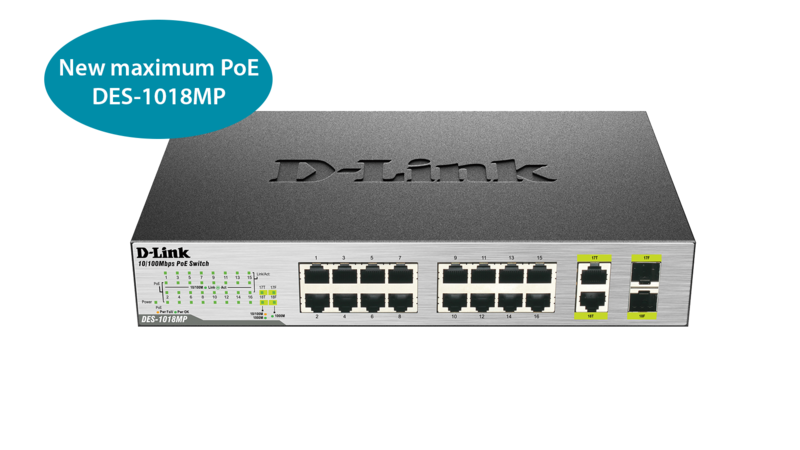 Combining the convenience of PoE, fast performance, reliability, and ease of use, the 18-Port Fast Ethernet PoE Switch with 2 Gigabit Uplink Ports is the ideal choice for adding PoE devices to a network. 1. Surge protection function available for PoE ports only. 2. Energy savings from IEEE 802.3az Energy Efficient Ethernet (EEE) are dependent on actual usage scenarios.